Get ready for the first-ever public stock offering by a chartered benefit corporation. This ain’t no friendly neighborhood organic coffee roaster, either. Laureate Education promises to operate as a triple-bottom-line business, but this is a much bigger, more complicated deal. 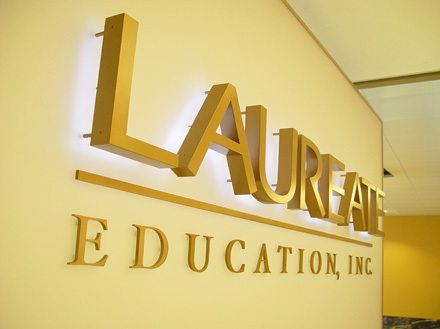 Laureate is the world’s largest for-profit operator of online and campus-based higher education. It owns, controls, or manages 88 institutions that enroll more than one million students, 90 percent of whom live outside the United States. It has been growing rapidly and in 2014, its revenues exceeded $4.4 billion. It’s a 16-year-old company but it announced its new charter as a Delaware Benefit Corporation just four months ago, on the same day it registered for its IPO. Laureate’s current owners aren’t the kind of folks you’ll find at a typical B Corp meet-up. Kohlberg Kravis Roberts (KKR) one of the world’s biggest private equity firms, owns most of its stock. Point72, another venture capital behemoth, owns a big chunk. So does the International Finance Corporation, which is the private-sector arm of the World Bank. Last year, the first Certified B Corp held an IPO when Etsy went public. But Etsy doesn’t have a dual purpose written into its corporate charter. At least, not yet. KKR’s leaders are Henry Kravis and his cousin George R. Roberts, who gained fame for their scorched-earth takeover of Nabisco in the late 1980s. They’re old-school corporate raiders. Now they own a benefit corporation, and that could be a big deal. SEC laws prohibit Becker and KKR from talking about the IPO. But others are taking notice. “KKR could be just the tip of the iceberg,” says Luke Stephan, a partner at Keene Advisors in Newton, MA, a small firm that specializes in advising business owners who are selling their companies. Many Keene clients bring their social consciences to their businesses, and Keene itself is pursuing B Corp certification. “Laureate is a real validation of the value side of the equation,” says Rick Alexander, legal advisor to B Lab. “About $6 trillion in investment funds are earmarked for social impact in some way. That’s a huge target. But benefit corporations are a new idea, and a lot of investment professionals are not convinced that they will give a good return. Many of them just don’t know about us. Switching its status might also help Laureate answer the many critics of for-profit higher education. According to a 2012 US Senate committee report that examined 30 companies, including Laureate, the sector spent an average of 41 percent of its revenue on marketing, advertising, recruiting and admissions, and profit distribution. They spent just 18 percent on instruction. The report argues that making federal grants and loans to students at for-profit colleges is a bad deal, both for the students and the government. Alumni of Walden University, which is owned by Laureate and has many campuses in the United States, have accumulated the second-highest amount of federal loans of any school in the country, according to a 2014 study by the Brookings Institution. And only 44 percent of its undergraduates had started to repay their loans three years after leaving the school, a level far below the national average. Laureate is not the first for-profit school to become a benefit corporation. But it is the first to sign up for B Lab’s rigorous social audit program, which it passed in 2015. It also participates in B Lab’s Higher Education Standards Working Group. So, is Laureate using B Lab to clean up its image while it prepares to go public? Sure. And is that a bad thing? Only if it doesn’t walk the talk.